Though their lives split, their senses of purpose deepen in tandem, each becoming heroes to different sides of the political spectrum of the 1960s and 70s: Vincent an icon with no plan beyond the mission for which he has single-mindedly trained, Fay a leader of a violent leftist group whose anti-Vietnam actions make her one of the FBI’s most wanted. With her last public appearance, a demonstration that frames the Apollo program as a vehicle for distracting the American public from its country’s atrocities, Fay leaves Wright to contend with her legacy, his own growing apathy, and the misdeeds of both his mother and his country. An immense, vivid reimagining of the Cold War era, America Was Hard to Find traces the fallout of the cultural revolution that divided the country and explores the meaning of individual lives in times of upheaval. 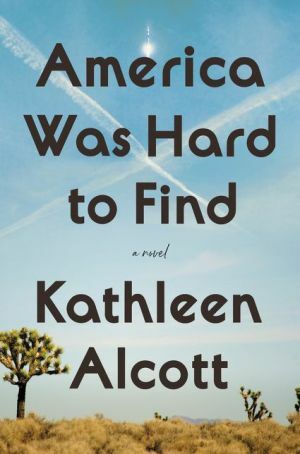 It also confirms Kathleen Alcott’s reputation as a fearless and vital voice in fiction.